This smoothie is super easy to make. First, use your Mr. Coffee® Advanced Brew 8-Cup Programmable Coffee Maker with Thermal Carafe to brew a batch of coffee the night before you want the smoothie. For a beverage that tastes like strong coffee, use 1.5 times the amount of grounds you usually do. When the coffee is done, place it in a covered jar or pitcher in your fridge. 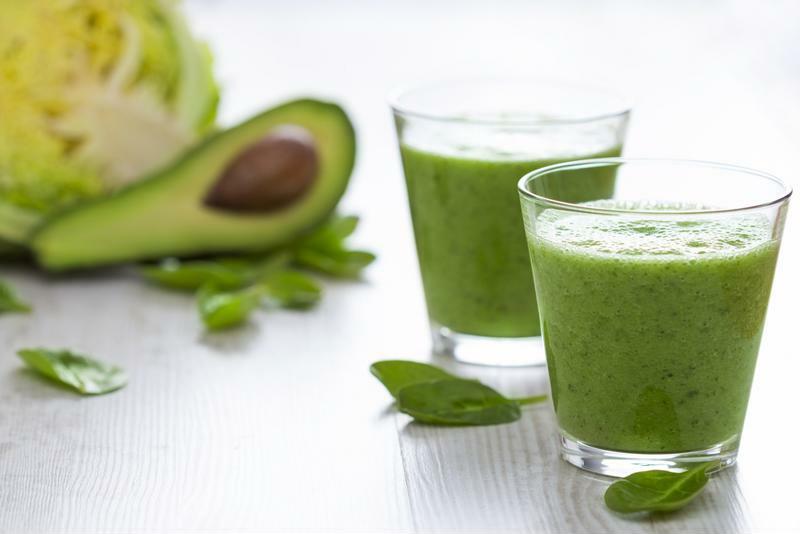 Es alpuket smoothies can feature even more greens like spinach for added nutrients and flavor. When you're ready for the smoothie, remove the avocado from the skin with the help of a spoon. Scoop the fruit directly into a blender and toss or compost the skin and seed. Next, pour in the coffee, ice cubes, vanilla and milk. Use your preferred blend setting to cream the mixture. It should be chunk-free when you're done. To get extra fancy and sweet, squeeze in some chocolate syrup. Pour the smoothie into a glass and enjoy! To make your es alpuket look like it was made in a cafe, drizzle chocolate sauce into the sides of your glass. Then, pour in the drink and add more to make a fun swirl design. You can also take it a step further by adding whipped cream. While still in the blender, you may decide to make your smoothie more fruity with the addition of some berries or your favorite fruit. You'll be surprised to learn that despite the intense green color of the es alpuket, it doesn't taste much like avocado! Instead, the mixture will take on the flavor of your favorite brew. Feel free to experiment with different milk types like sweetened condensed milk or soy. You could also freeze this smoothie and pull it out of the freezer the next day to enjoy it on the go. With the right chocolate design, your kids may even enjoy this tasty and rather nutritious drink! Some Indonesians pour the smoothie over ice and let it melt to create a hybrid juice. You could make a pitcher full for a party or to save es alpuket for the next day. For an extra creamy drink, add a frozen banana to the blender when you get started. Cinnamon and nutmeg also make great additions. There are nearly endless ways to personalize this awesome coffee beverage to fit your family's tastes.